Vivienne Westwood Amber Corset Dress Tartan S26CT0609. Elegantly wrapping around the body and designed with an internal corset, Vivienne Westwood’s Amber Corset dress is cuts and effortlessly elegant silhouette. 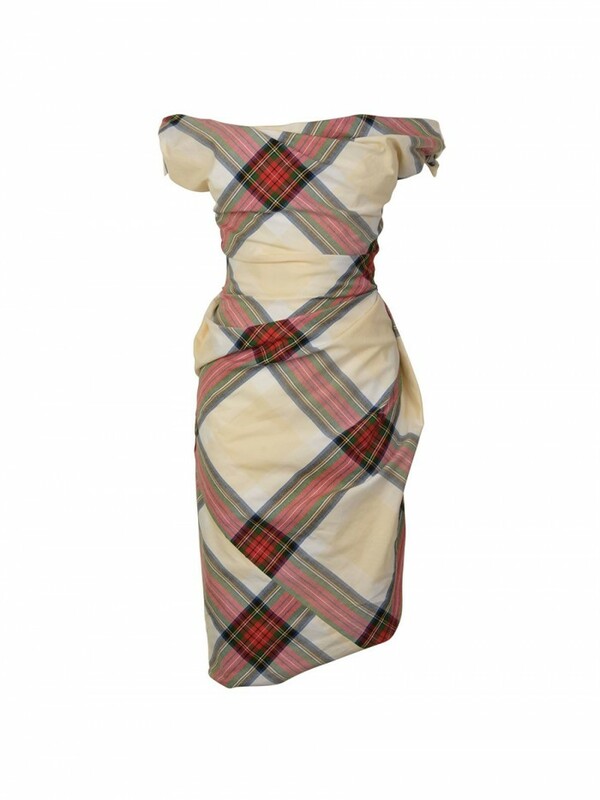 Cut from a tartan cotton jersey, the dress features an asymmetrical neckline which can be worn on or off the shoulder and falls to the knee, fastening with a concealed rear zip.